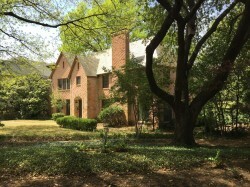 On Turtle Creek, across from Volk Estates, this original 1935 estate home is bordered by park land on two other sides. 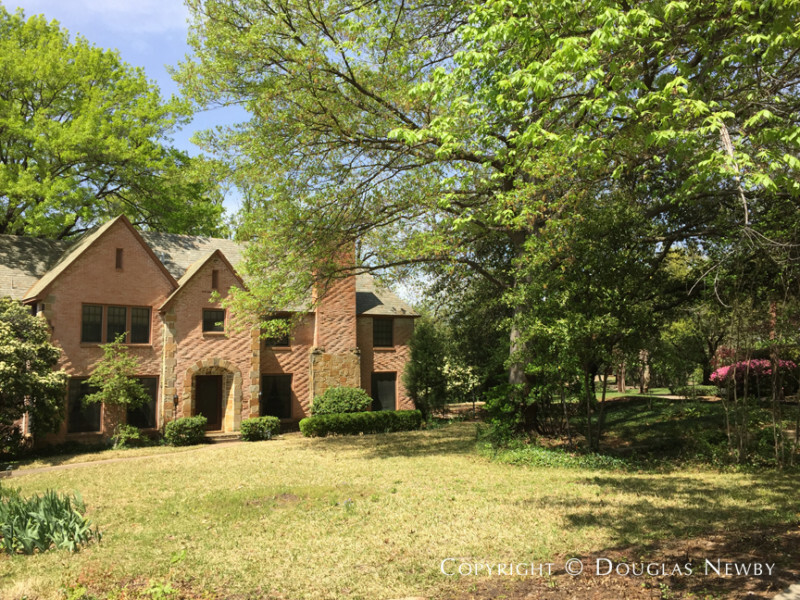 The abundant landscape of the park visually extends from the front garden of this estate home on Golf Drive to the winding sidewalk path that originates in this quiet green corridor at the end of the neighborhood and leads to the Turtle Creek pond at Curtis Park. 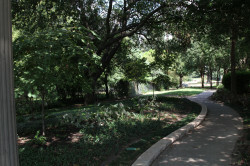 The side garden and creek view are extended by Turtle Creek running along the secluded boundary of Curtis Park and the sloping triangle of part of the park that is virtually hidden from the park activities on the other side of the pond at Curtis Park. The walking path will take you around the lake in Curtis Park to the public side of the park where you will find the 50-meter Olympic size swimming pool, tennis courts, playgrounds picnic facilities, fishing pond and playing fields. The Golf Drive side of the pond feels almost like a semi-private extension of your property to be used by friends and neighbors in Francis Daniel Park. 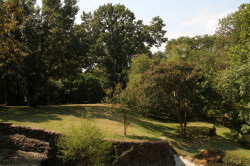 There are so few lots in University Park on 2/3 of an acre, less than 75 homes are on a lot with this much land. The size of the lot is rare and attractive, the 200-foot front width of the lot is fabulous as is the footage along Turtle creek. Even more than being able to look over Turtle Creek and being embraced by the tall trees surrounding the property, there is something magical about an environment that celebrates life, the soft laughter of children riding their bikes down the secluded path to the park, the birds singing, and a lush setting that creates privacy but also links the private part of the park to the vibrant activities that are enjoyed by the residents of University Park who access it by Lovers Lane, on the other end of Curtis Park. 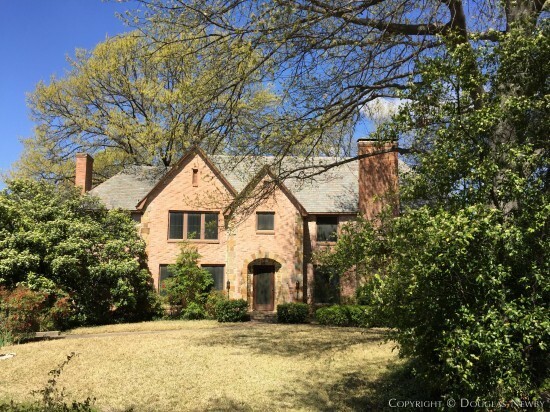 Few original estate homes exist in University Park with the architectural prominence and grace of this approximately 3,876 square foot home at 6825 Golf Drive. It was an expensive home when it was built on this extraordinary and expansive lot. 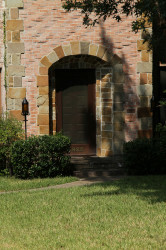 Now one has the opportunity to maintain the original exterior and create a very contemporary or modern interior, combining the best of architectural styles and eras much like you see in Europe. Modernist architects love a secluded environment that offers opportunities for views of nature. Here an architect can integrate the home into the landscape, create intimate views of gardens and expansive views of nature without a home or a two-story garage and quarters in sight. Nature on three sides of the home, a free flowing pond, and access to a vibrant part of the neighborhood and community is a rare setting. So many buyers look for years for a lot that does not exist. Here is a lot that indeed exists and is nicer than anyone would imagine to be available in this price range in University Park or in Highland Park. A highly desired site might be on a creek or have beautiful views in one direction. Lakeside Drive comes quickly to mind. 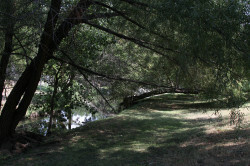 How many lots can you think of that are on Turtle Creek and have park land wrapping around another two sides of it. Whether you totally renovate this home or create an architecturally significant modern home, here is a piece of land that offers incredible possibilities for you and your family. 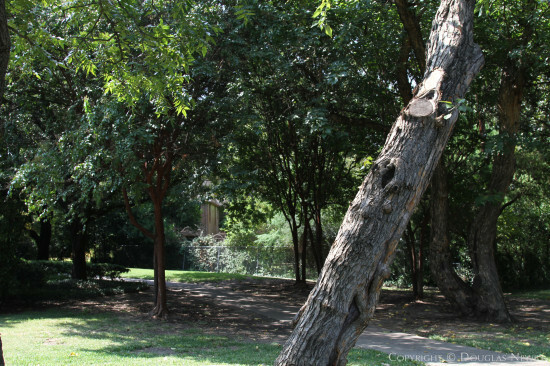 "Curtis Park expresses the serenity and vibrancy of University Park."